LEAN Nutrition Fat Metaboliser Review | Does It Work? 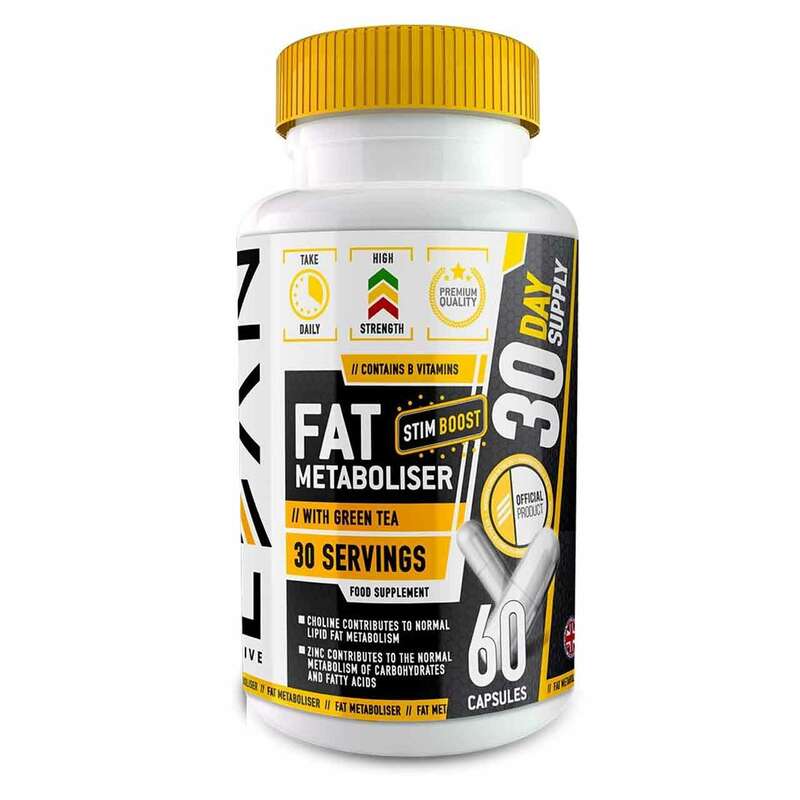 If you are looking for a fat burner to boost your metabolism and energy levels, Lean Nutrition Fat Metaboliser looks to tick these boxes along with some additional vitamins, minerals, and herbal extracts for health. There is also evidence that green tea and caffeine can help fat burning and weight loss. So, is this high caffeine supplement worth a try? Let’s take a look. No comments Published Apr 8, 2019. Lean Nutrition is a British brand. There seems to be some confusion over whether the brand name is actually Lean Nutrition or Lean Active but more importantly, this supplement is manufactured in the UK and comes under the Forza name – a British supplements company based in Ashford Kent. Lean Nutrition Fat Metaboliser is an inexpensive weight loss supplement that is high in caffeine so depending upon your own tolerance, you may notice an energy boost or alternatively, it may leave you feeling wired and shaky. That said, it contains a blend of green tea and caffeine, a combination that can help weight loss, and there are some vitamins and minerals too. Each bottle of Fat Metaboliser contains 60 capsules (30 days supply). You are advised to take 1 capsule a day when you first start to assess tolerance. Lean Nutrition Fat Metaboliser is made in the UK and comes from British company Forza. The brand name is Lean Active rather than Lean Nutrition. It is currently only available via Amazon UK, and not on sale via the Lean Active website where the same supplement is known as Lean Active Fat Metaboliser. What are the side effects of LEAN Nutrition Fat Metaboliser? Lean Nutrition Fat Metaboliser may cause side effects. Most of these will be related to the high caffeine content and may include jitteriness, anxiety, insomnia, increased heart rate/blood pressure, nausea, vomiting, and headaches. This supplement contains the recommended daily allowance of Niacin so you may find that when added to the vitamin B 3 content of your daily food intake you may experience facial flushing, skin rash, and a burning sensation around face and neck. Although the formula contains choline which may cause side effects in high amounts, serving size here is low, making these unlikely. However, side effects to choline include sweating, diarrhoea, upset stomach, and a fishy body odour. How much does LEAN Nutrition Fat Metaboliser cost? Lean Nutrition Fat Metaboliser is not expensive. It only seems to be currently available on Amazon UK, where one bottle of 60 capsules (30 days supply) costs £9.44. This supplement is fulfilled by Amazon so qualifies for free delivery with Prime. When you want to lose weight and get fit, anything that helps to make this process quicker and easier is always going to appeal. Lean Nutrition Fat Metaboliser claims to do just that by the use of what the advertising describes as “a stimulating blend of Vitamins, minerals and herbal extracts”. The supplement is high in caffeine. There is 212mg of caffeine per 2 capsules serving which is roughly the same as two cups of coffee. This is derived from extracts guarana, kola, green tea, as well as caffeine. The supplement also contains Taurine – an amino acid present in energy drinks, plus choline and a range of vitamins and minerals, again in high servings. 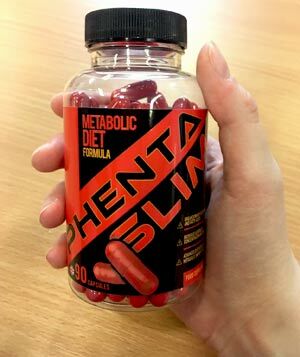 According to the product information, this supplement is designed for active individuals looking for extra stimulation, so Fat Metaboliser will probably not suit you if your idea of high octane activity is a gentle stroll to the pub! A video on the Amazon advert shows some frantic exercising going on in the gym accompanied by powerful music, making it easy to forget that this supplement is essentially two cups of coffee with some vitamins thrown in! That said, the green tea/caffeine combination is a good one and may help increase the metabolism as described. Check out the ingredients tab to find out more. Lean Nutrition sounds like a brand name but in fact, seems to be part of the name of this supplement. Strangely it is only called Lean Nutrition Fat Metaboliser when advertised on Amazon UK. In fact, Fat Metaboliser is part of the Lean Active range of products. This is a sports nutrition brand aimed at bodybuilders so includes all types of supplements for weight lifting, endurance, and more. If you go to the Lean Active website, you can see the identical product named as Lean Active Fat Metaboliser, although it is currently out of stock. Confusion over the name. Does this suggest that this supplement may be discontinued and renamed as Lean Active Fat Metaboliser? Lean Active is a brand name from Forza – a British supplements company based in Ashford Kent. We have covered Forza supplements in previous reviews including Forza Fat Burner, and Forza T5 Super Strength. You can contact the company by email via the official website. The company address is Unit 5 Javelin Enterprise Park, Javelin Way, Ashford, Kent, TN24 8DE. What does LEAN Nutrition Fat Metaboliser claim to do? According to the advertising, “Fat Metaboliser is designed for active individuals looking for extra stimulation, energy release and metabolic support”. Does LEAN Nutrition Fat Metaboliser work? It might work a bit. If you use it in combination with exercise and a weight loss diet, you may find that it helps. You might notice the caffeine content and at 212 mg per serving, roughly twice the caffeine serving of a cup of coffee, this seems likely. So, the caffeine alone may help you feel energised. Alternatively, it might make you feel jittery and wired. It depends upon your own response to caffeine. Taurine is a popular component of energy drinks and may help increase endurance, although serving size here at 100mg is not the same as the serving size in Red Bull which is 1000mg. The vitamins and minerals may be good for health overall, but may not cause any benefits you can really notice throughout using this supplement. Serving size is equal to two capsules. The overall caffeine content is 212mg per serving. Caffeine (160mg): Most diet supplements contain caffeine and it is ideal for giving you a quick energy boost. It can increase the speed of the metabolism and help fat burning, but the effects are often short-lived as you become accustomed to use. When used in combination with green tea, it may enhance the fat burning effect. A cup of instant coffee contains around 100mg of caffeine. Guarana (120mg): Guarana is a South American bean that is higher in caffeine than coffee, so will add to the overall caffeine count of this supplement. Taurine (100mg): Best known as an ingredient of energy drinks like Red Bull, Taurine is present in the body in brain, eyes, blood, and heart, as well as derived from dietary protein, especially red meat and fish. It has benefits to heart health and may improve endurance. Capsicum (50mg): Pepper extract. When taken in sufficient quantities, some research has indicated that high levels of capsaicoinds, the compound that causes the fiery sensation of cayenne, increases the metabolism and promotes fat burning. This short-lived effect is unlikely with this low dose in supplement form. Kola Nut (50mg): Kola nuts are high in caffeine and the natural material which gives its name and flavouring to Coca Cola, although no longer an ingredient in Coke. Here because it contains caffeine. Niacin (b3) (16mg): Vitamin that is important for general health and when taken at high levels it may improve cholesterol levels by increasing good (HDL) cholesterol and lowering bad (LDL) cholesterol. The RDA is 16mg so the same as this supplement. In higher quantities, it can cause facial flushing and a burning sensation around the neck and face. Pantothenic Acid (b5) (12mg): Vitamin present in foods such as meat, vegetables, and eggs. It helps the body use carbs, fats, and protein properly, and is also important for healthy skin and hair. Serving size here is twice as much as daily allowance, but much higher serving sizes have been used with no major ill effects. Zinc (10mg): Essential mineral here at 100% of recommended daily intake. Zinc has many uses in the body including eyesight, growth, and more but happily, zinc deficiency is rare in the western world. Zinc is associated with testosterone and male fertility, as men with low T levels often are low in zinc. There are some concerns that supplementing with choline long term could increase the risk of cancer of the colon. This is highly unlikely to be an issue here. Caution: Not suitable for individuals under 18. Avoid if you are pregnant or breastfeeding. Speak to your doctor or pharmacist before use if you are taking prescription medication or have an underlying medical condition. There are customer reviews posted on Amazon. However, the most recent review was left back in May 2018 which is odd because Lean Nutrition Fat Metaboliser is still on sale via Amazon. 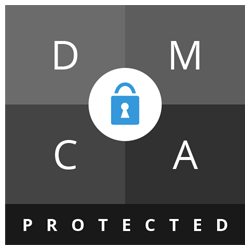 We checked this out with scam software and found that many of the positive reviews looked untrustworthy. These were left earliest with the negative reviews left more recently. OMG! I’m absolutely astounded by this product …, it reduces my desire to snack and eat and provides me with plenty of energy to continue my day without snacking on the bad products. I have lost several pounds and will continue to take these tablets whilst undertaking exercise and healthy eating. Also I must advise that you drink plenty of water was taking these. Going to be honest. Apart from urinating quite a bit the first few days, don’t see a difference in myself, but that’s just me. There is no money-back guarantee available. Lean Nutrition Fat Metaboliser is not currently available from the Lean Active website – where it is called Lean Active Fat Metaboliser. However, it is on sale via Amazon UK. 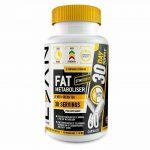 Despite the issues with the dodgy looking customer feedback, the name changes to this supplement – it is known as Lean Nutrition Fat Metaboliser or as Lean Active Fat Metaboliser from the official website, there are some good points about Fat Metaboliser. We like that it is made in Britain and that Forza, the company behind the brand, provide a full address and contact details. In addition, this supplement is very reasonably priced and if you wanted to give yourself a quick caffeine lift you may find that it does increase energy as claimed. In addition, we like the added vitamins and minerals and the green tea/caffeine combo which can help weight loss in some users. Overall, we think that Lean Nutrition Fat Metaboliser may suit some consumers but in our opinion, is not quite good enough to add to the approved list. 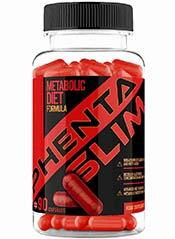 How does LEAN Nutrition Fat Metaboliser compare to Phentaslim?